Kathy also does other bits and pieces. Currently there’s one book available on Kindle. 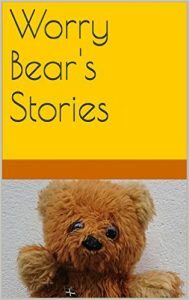 ‘Worry Bear’s Stories for children’ is a collection of uplifting short stories for children of all ages, as told by her Teddy bear Worry – tales of friendship, forgiveness and compassion. And Teddy bears. You can buy it on Kindle here. RevdKathy has plans for other books too, so keep checking back.